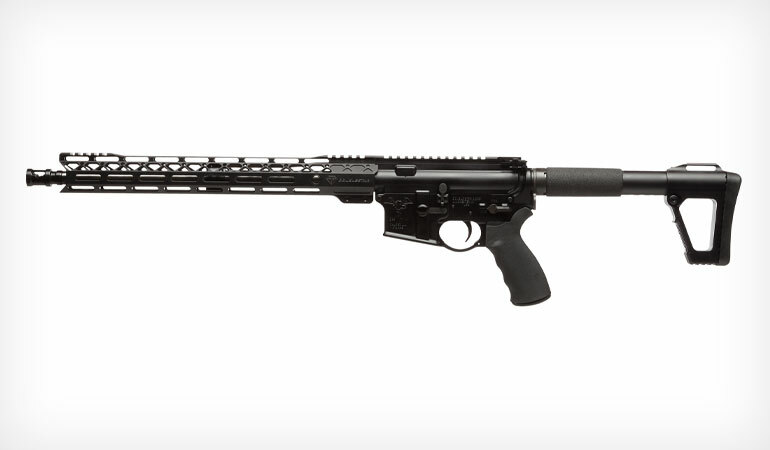 DoubleStar Corp, manufacturers of US-made AR components, rifles, pistols and edged weapons, has discovered the sweet spot between accuracy, weight and durability in its newest AR15 build, the DoubleStar ZERO Carbine Rifle. What’s different about the ZERO? It’s not just another 16” barrel under an MLOK handguard. The ZERO delivers lead through a 16” 1:8 twist Wilson Air Gauged heavy barrel, providing a mix of accuracy and maneuverability. The Alpha Compensator keeps the muzzle flat and fast, while the new Cloak handguard keeps the barrel cool and ventilated, all while providing a slim profile aluminum handguard that will accept all the necessary accessories. The rubber over-molded ERGO Grip provides a comfortable grip with or without gloves. The ZERO Carbine Rifle is finished out with the rugged SOCOM stock.